Thy praise, how shall I sing it? Thy great works, how shall I tell? Thy great love, how shall I proclaim it? You, O Lord, in whom I do dwell? Only a part, could I manage to tell. When on my knees, before You I fell. In tenderness, love, and mercy, You excel. My everything is for You, forever. This morning I was listening again to a song I made a video for, recently. While listening, and reflecting on this past year and all that’s happened…all the ways God has shown me glimpses of Himself…how deep my love for Him has grown…my heart was overwhelmed by it all, and how much I long to see precious souls come to know my Savior. He lifted me out of miry clay. He drew me to Himself. He has shown me more love than I ever could deserve. He has given me more love than I thought a heart could hold. Words just can’t convey what burns in my heart, though I wish very much that they could. If you don’t know Jesus…you don’t know what it is to truly live, to truly love. You may think you do…but unless you have Jesus…you don’t. You don’t need to wait until whatever you think the ideal circumstances are, to come to Jesus. And you don’t need to wait until all is perfect before you praise Him – in fact it’s important to praise Him when things are tough. You know, the funny part, is that when Paul and Silas were in Prison, They didn’t complain to the Lord. They didn’t say, “Hmm, why am I in this predicament? What’s going on” You know what they did? They made music. You know what He did? He broke their chains, and He set them FREE! And suddenly it hit me. I love how some things are revealed to me by my most Soverign King. It wasn’t when I was questioning God and complaining that my life was changed. It wasn’t when I repented, surrendered myself to Him and contented myself with having Him (though, that was the start, and a very good start). It was when I set my heart on praising God, and a big part of that was making music (singing His praises more and more, instead of only singing along to secular garbage). I know God’s been working on me for as long as I’ve been alive…but that was when He started undeniably breaking my chains one by one and He set me free from so much. And how free I am…if I was much more free I don’t think gravity could hold me. I can’t even list all the things I’m now free of. Secular media, depression (my husband has it right when he says, depression is the absence of Christ), foul language, hatred, bitterness, emptiness, loniless at times, and so much more, God has helped me to get rid of. I’m not by any means saying I’m perfect now, or that I never slip up. I’m still a work in progress, but I’m a lot better than I used to be. Oh this love for my Jesus, who set me free and helps me to stand. He didn’t say, ‘go fix your problems, then come back and I’ll love you’. He said ‘Take US the foxes’. 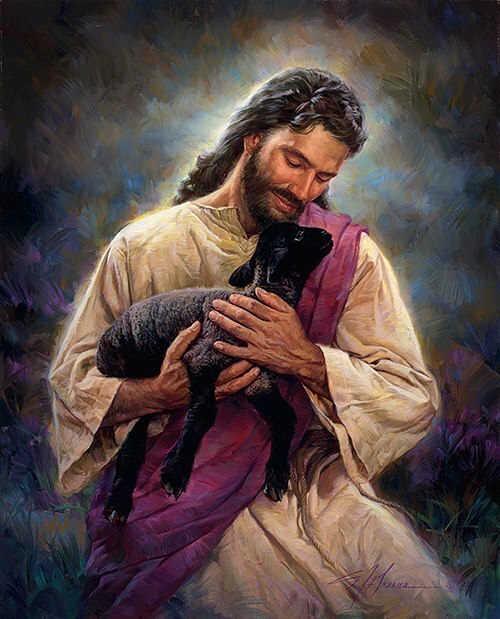 My precious Jesus, who loved me in spite of the foxes, saw value and beauty in a soul like me, when I didn’t even see it in myself. He didn’t say, come back when you’re problems are gone. He drew me to Him and offered to help me take on those foxes that I couldn’t ward off by myself. He protects and nurtures the tender grapes. 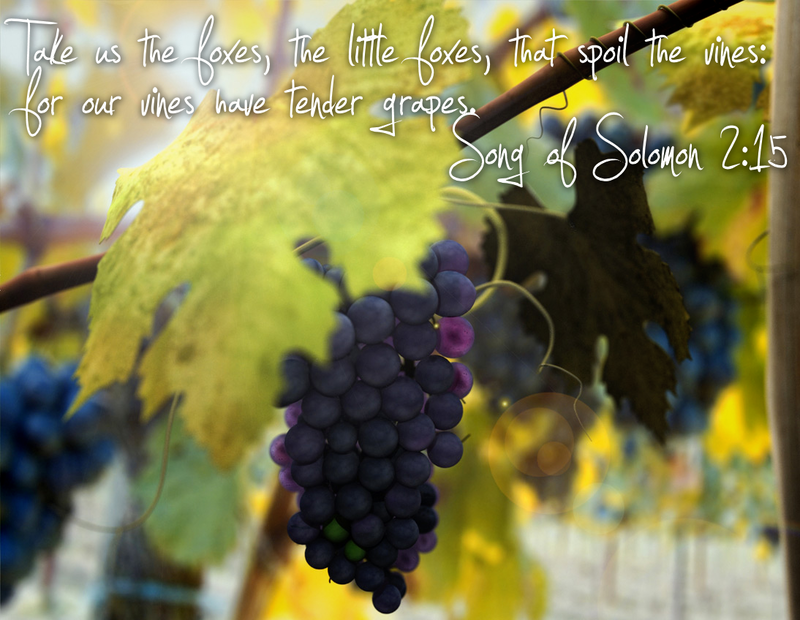 Our tender grapes…the fruit of our relationship. Love, joy, peace, patience, kindness, goodness, faithfulness, gentleness and self-control (Galations 5:22-23). I have more of each of these things than ever before, and it’s only with and through God that I have them. I have more than enough reason to live now. The biggest reason is Jesus. 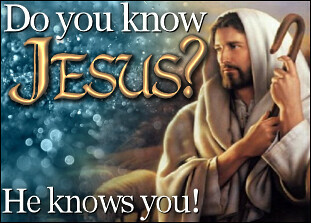 Do you know Jesus? Are you free? The Master’s Radio is something my husband has been working on for some time, and has been planning even longer. At the website, you can find links to not only listen to the 24/7 stream of 100% Christian content (barring a power outage), and find links to other useful pages, including Bible.cc, his YouTube channel, my YouTube channel, his personal testimony website, and this blog. You can also find his Facebook through there, as well. The entire goal of the website is the glory of our God, Jesus Christ, through music and other media. He alone is worthy of our praise! The stream is commercial free, so you won’t be interrupted while worshiping. The stream contains many genres and styles, -all- for God’s glory. You can listen to the stream absolutely free of charge, but you will need a program that can play streamed media, such as iTunes or Winamp. There are also links to download programs that can play the stream on the website. The URL is http://TheMastersRadio.com , I hope you’ll take some time to check it out, and be blessed by it. He saw me…a wretched sinner. He died for me…even though I am not worthy. He loves me…even though I make many mistakes. Jesus Christ, who died on the cross to save the lowliest sinner who would just repent and believe that He is Lord, and let Him be the Lord of their life. He is God, He is the way, the truth, and the life. He is the only hope of this world. He is the blessed redeemer, the only real savior, the most precious friend, the most skilled healer, the most talented craftsman, the only perfect thing. He is peace, love, joy, and hope. All the praises in all the World could not begin to touch the vastness of His glory. No carefully measured amount of speech could speak the depth of His power. Nothing could measure how much I owe Him but my very life. My failings and shortcomings I bring to Him, them all. I pray for forgiveness and help, and have received much, though I still stumble and fall. I know He is there, I know He will still pick me up, brush me off, and set my course again, because of His great love. No one ever cared for a single soul as much as Jesus. No one ever loved me or you like Him. Even if you scoff at the mention of His name…He still loves you, and that won’t change. Loving Him back, is what gives life meaning. Praising Him gives life purpose. Speaking to Him gives – life.